​Preference in filling vacancies is given to qualified Indian candidates in accordance with the Indian Preference Act (Title 25, U.S. Code, Section 472 and 473). 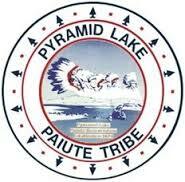 However, the Pyramid Lake Paiute Tribe is an Equal Opportunity Employer and all qualified applicants will be considered in accordance with the provisions of Section 703 (I) of Title VII of the Civil Rights Act of 1964, amended in 1991. The Human Resources Department is responsible for the Tribes personnel management which includes recruitment, employee relations, employee benefits program, salary administration, worker’s compensation, grievance and appeal system, and personnel records management. Human Resources provides assistance to Department Heads and Supervisors in developing, communicating, and implementing the Tribe’s personnel policies.